Tired of shoveling your doorstep day after day? SaltNets® is a mat that melts snow and ice on contact without the need for electricity, or overuse of corrosive agents. Completely safe and reusable, this clever invention works by releasing a proprietary mix of proven melting agents to prevent snow accumulation on your walkway or driveway. 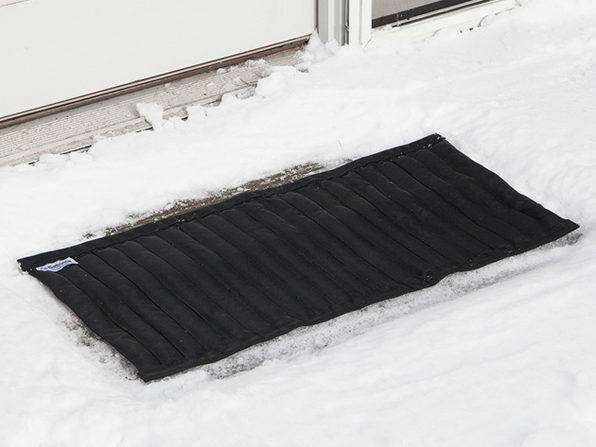 Other melting agents can cause unnecessary mess and are dangerous to pets, but this mat is non-toxic and safe to use for many winters to come. This particular stair-tread style mat measures 9” x 27.5” and is similar in size to a standard step. 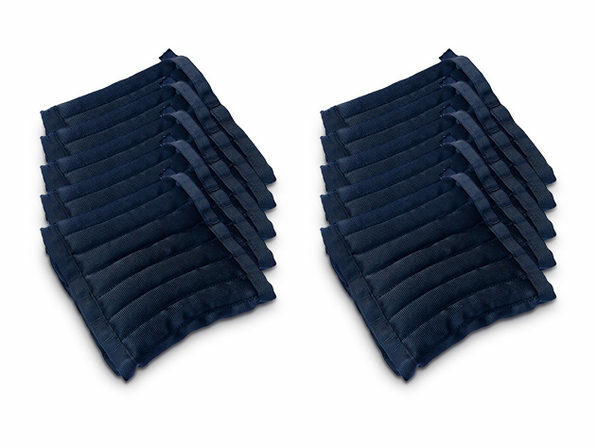 With this multi-mat set, you can create a clear path on outdoor steps that will get you from point-A to point-B without having to trudge through snow or slip on ice.